Ubuntu 18.04 with Jupyter, JupyterLab and preconfigured conda environments for Tensorflow 1.13 and TensorFlow 2 Alpha including the latest matching versions of CUDA 10.0 and cuDNN for GPU-accelerated computing. 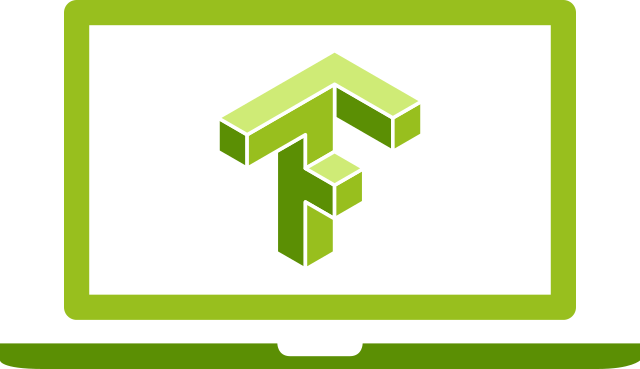 Ubuntu 18.04 with Jupyter, JupyterLab, TensorBoard and preconfigured conda environments for Tensorflow 1.13.1 and TensorFlow 2 Alpha including the latest matching versions of CUDA 10.0 and cuDNN 7.5.0 for GPU-accelerated computing. There is no need for an SSH session to launch a notebook. All services, including TensorBoard and the Ubuntu MATE desktop, can be accessed through the browser. Check out the video to see how to start training your first model on a GPU in less than 5 minutes. Additionally, this environment provides a full-featured Ubuntu MATE desktop environment and direct console access through the browser with the latest versions of Google Chrome, Visual Studio Code and Docker (including the NVIDIA Container Runtime). The Machine Learning Workbench puts a focus on security. All communication to the instance is encrypted, launching and accessing the Jupyter Notebook requires username and password authentication.